BOTOX® is a therapeutic agent derived from the bacterium, Clostridium Botulinum; Also known as Botulinum Toxin Type A. 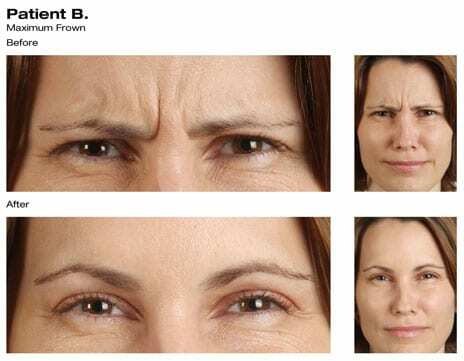 The brand BOTOX® is produced in controlled laboratory conditions and given in extremely small therapeutic doses originally for the treatment of blepharospasm (eye spasm) and strabismus (misalignment of the eye). BOTOX® Purified Neurotoxin Complex is a vacuum-dried form of purified botulinum toxin type A, and is being investigated for several conditions associated with overactive muscle activity. BOTOX® is part of the Brilliant Distinctions Program. Thank you for the military discount you extended to me when I visited your office. You are the first business in Bellingham ever to do so and I want you to know how much I appreciate you. Acknowledging our family’s sacrifice and service to the Nation !It feels good to know people care. Also, thanks you for the work you do. Helping someone find confidence and feel better about the way the look is no small thing. Other than for its intended purpose, treatment of blepharospasm (eye spasm) and strabismus (misalignment of the eye), this product has cosmetic applications as well. 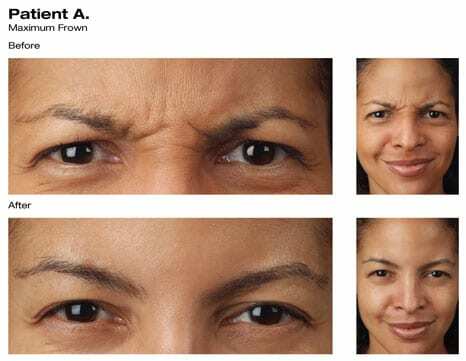 BOTOX® injections improve the look of fine lines and superficial wrinkles caused from every day facial exercises like smiling, frowning or squinting. 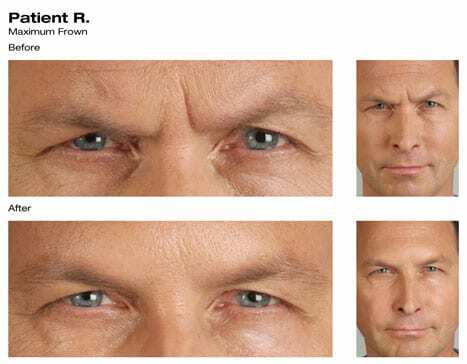 If you find that the early signs of aging are becoming apparent or if your facial expressions are causing premature wrinkles to appear, then BOTOX® may be for you. BOTOX® is also used in the prevention of wrinkles by prohibiting you from making the facial gestures that cause wrinkles. Normally, your brain sends electrical messages to your muscles so that they can contract and move. The electrical message is transmitted to the muscle by a substance called acetylcholine. BOTOX® works to block the release of acetylcholine and, as a result, the muscle does not receive the message to contract. This means that the muscle spasms or movements that cause wrinkling stop, or are greatly reduced after using BOTOX®. Patients sometimes refer to the effects of the injection to their area of treatment as being “paralyzed”. BOTOX® is injected with a micro-needle into the muscle(s) that your individual needs require. 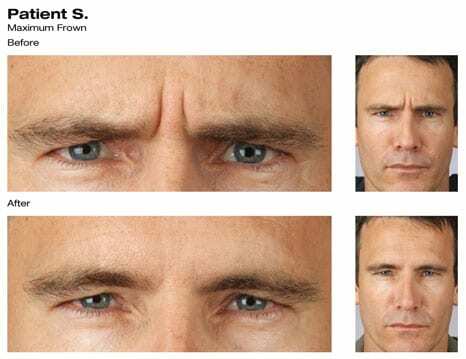 The most requested areas of treatment and complaint are the forehead and outer eye area. One to three injections are usually given per muscle. The company advises that patients report very little pain or discomfort associated with BOTOX® injections due the size of the micro-needle. After treatment, you will usually see the effects of BOTOX® within a few hours to three days. Care must be taken in restricting the amount of muscle movements in the treatment area while it “settles in”. Maximum benefit is reached in one to two weeks. The effects last approximately three months thereafter from a single treatment of BOTOX®, resulting in the smoothing of your skin and the improvement of fine lines and superficial wrinkles in the area of your treatment. When the effects start wearing off, you will notice a very gradual fading of its effects. At this point you will return for your next treatment. 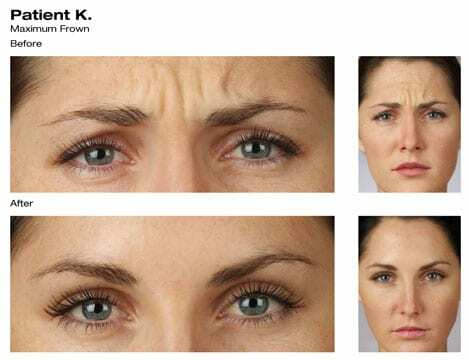 BOTOX®, which has proven itself again and again in eliminating superficial lines and wrinkles. Patients report that during a course of treatment their lines “seem to disappear” and the skin regains its former smoothness.